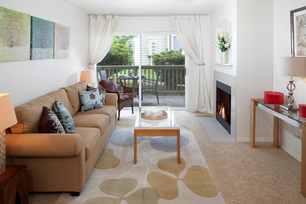 If you are looking for an apartment that’s tucked quietly away from noise and traffic, but still offers a quick commute to Hillsboro’s employers, schools, retailers and more, make Jackson School Village your home. This garden-style community comprised of one, two and three bedroom apartments for rent is surrounded by nature trails and pleasant scenery, so you’ll feel removed from the hustle and bustle of daily life. Yet, thanks to its location near I-26 and I-15, you’ll also have an easy way to get around town. With recent renovations, many homes at Jackson School Village boast stainless steel appliances as well as upgraded flooring and lighting. All homes offer a patio or balcony with a storage closet, in-home washer and dryer sets and wood-burning fireplaces to maximize your comfort. Aside from the nature and fitness trails that surround the community, you can stretch your limbs and work toward your fitness goals in the gym with free weights. Throughout the summers, you can swim across the pool or just relax and unwind in its refreshing water. The clubhouse with a TV lounge is a great place to hosts guests, and the business center with a conference room is ideal for work-from-home residents. When you live at Jackson School Village, you can depend on services such as package receiving and on-site maintenance and management. 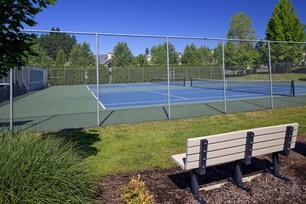 Experience the best of Hillsboro, Oregon, at Jackson School Village. Schedule a tour today.